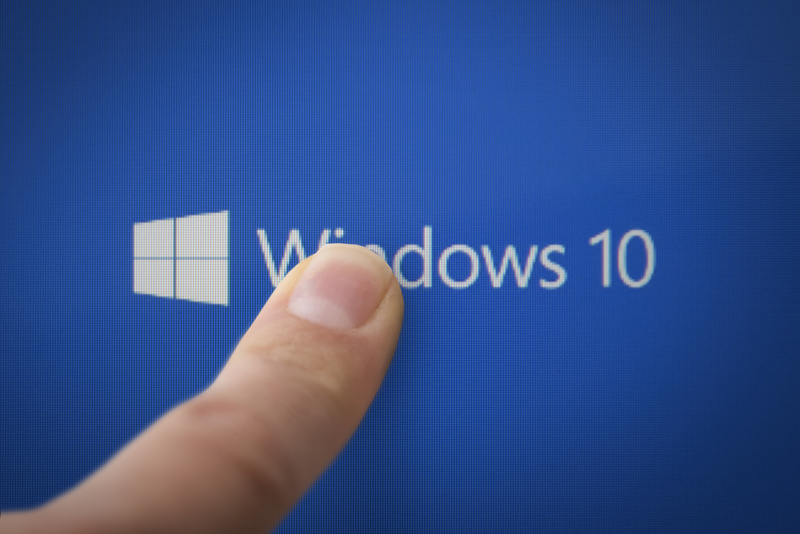 With Windows 10 Microsoft is trying to win back users it scared away with Windows 8. But there is one little obstacle: inadequate data protection. It is known that a failed Windows version usually follows a real bestseller. Windows Millennium Edition which was strongly afflicted with negative headlines, in 2001 was superseded by Windows XP which is still running on numerous computers today – more than a year after the official support ended. The Vista fiasco in turn ended in 2009 with the release of Windows 7, with currently over 60 percent market share the most widely used operating system worldwide. Windows 10 is now trying to soothe all users that Windows 8 has frustrated with its newly introduced tile surface. Those who searched in vain for the Start Button in the lower left corner, and for whom Windows 8.1 was nothing more than a small consolation with its rudimentary rebirth of the same. And of course, those who can do without an app store on their PC. Windows 10 introduces a user interface that strongly reminds us of the familiar Windows interface and can be operated via mouse and keyboard just as easy as via touchpad. The Start menu is back and leads the user directly to an overview of his most frequently used programs – just as we know it with Windows 7. But Microsoft does not entirely withdraw from the apps along with Live Tiles it adapted and which show the most important information prior to opening the app. This can be found in the right column of the Start menu when desktop mode is activated. Who with Windows 8 had recurring problems finding the ‘turn off’ button, can also breathe a sigh of relief: In Windows 10 it is again exactly where we expected it to be, namely in the Start menu. Another big step forward is the digital voice assistant Cortana, whose services Windows Phone users have appreciated for some time now and which has made its way to the desktop now. Cortana assists users with questions and tasks, searches the internet via Bing, reminds him of his appointments and more. Judging from its functionalities Cortana, deriving its name from Microsoft’s Halo game series, is reminiscent of Apple’s Siri or Google Now. This all sounds great if it weren’t for the subject of data protection. Microsoft has since its release of Windows 10 repeatedly been accused of spying on its users and passing on user data to third parties. Background is a recent update Microsoft made to its data protection and privacy rules in order to consolidate them for their different services. By unifying the privacy statements Windows 10 now falls under the same guidelines as the numerous free online services the company offers. And that we usually buy such services with our data is not a very well kept secret – just think of Facebook and Google and their financing models. Moreover, the comparison with Facebook and Google at this point is not as crooked as it might seem at first glance. After all, the new version of Windows is almost permanently connected to the Internet –otherwise features like OneDrive integration or search by Cortana would not work – and actually Windows 10 is still available for free, at least for users of Windows 7 and 8. Those who value the security of their data, can indeed curb data collection via opt-out stop, however, the necessary settings are distributed over a variety of menus and not easy to find. Nevertheless it still can be prevented that Microsoft records information about websites you visit, the location of the computer, that language is recorded or that an advertising ID to create personalized promotional activities is generated. Whether these settings actually prevent collecting data reliably is debatable. Latest reports indicate that Windows 10 partly also sends data to Microsoft, if these are actually disabled. Privacy-conscious users should also be aware that some services cannot be used to their fullest extent, if Microsoft is denied specific data access. Cortana for example works better the more it knows about the user and can be used only with a Microsoft account. If you decide against such an account, moreover, neither the synchronization of user settings across multiple devices nor the deep integration of the cloud storage service OneDrive is possible. With Windows 10, Microsoft has created an operating system that in contrast to his predecessor has enormous potential to prevail with broad sections of the population, maybe even overthrow Windows 7 and succeed to the throne. With the improved usability of mouse and keyboard and the reduced importance of the App Stores, Microsoft should convince ultimately its business customers and ensure dissemination in this important sector. Especially since it will be the last version of the operating system Windows in the classical sense: In the future new functionalities are going to be in the form of smaller updates to the device, while larger version jumps are a thing of the past (“Windows as a Service”). One can only hope that a significant number of these announced updates will address the issue of data protection – as there is still some catching up to do! What is your personal opinion about Windows 10? Is it worth upgrading now or are there any concerns preventing you from doing so? Sound off in the comments section below.